VH1's "T.I. 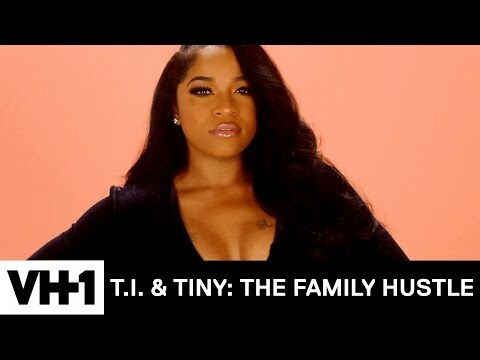 & Tiny: Friends & Family Hustle" will return with a new season Monday, April 15 at 9PM ET/PT. The hit series features Grammy Award-winning, multi-platinum artists Tip "T.I." Harris and Tameka "Tiny" Harris along with their children Zonnique, Messiah, Domani, Deyjah, King, Major and Heiress. Joining them again is multi-platinum, Grammy Award-winning artist Monica Brown, New York Times best-selling author Antonia "Toya" Wright with her daughter Reginae Carter, and actress and Grammy Award-winning singer-songwriter Letoya Luckett. T.I. & Tiny: Friends and Family Hustle Season 2 was released on VH1 3d ago in the US.